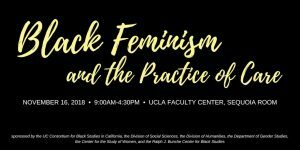 Audre Lorde famously maintained that “caring for myself is not self-indulgence, it is self-preservation, and that is an act of political warfare.” This gathering explores the concept of care against the backdrop of Lorde’s quote, through the lens of black feminist epistemology and praxis. It deliberately understands care as a community practice of generating power, as well as an individual ethic of self-love, and asks how ideas about care shape our political activism, critiques of power, and dreams of freedom. 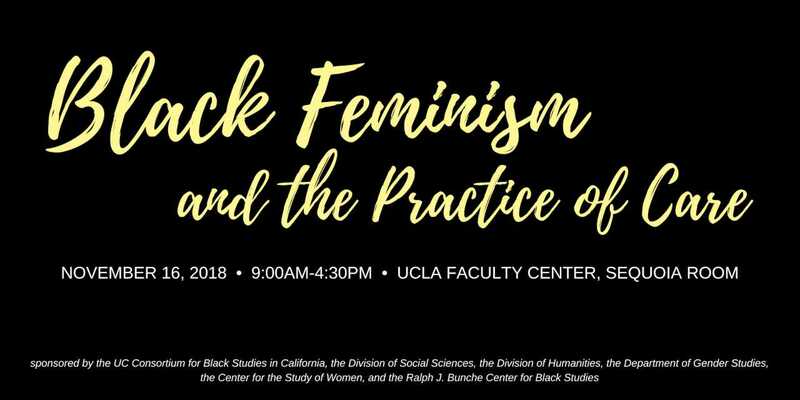 It also seeks to reimagine black wellbeing within a self-help culture that privileges whiteness and normative femininity, and explores how black people have cared for one another across time and space. Finally, it reconsiders the most familiar narratives of stress and depletion to show how black lives are diminished by state violence, historical trauma, neoliberal assaults, heteropatriarchal norms, ravaging kin ties, and intramural violence. How can we engage new possibilities for self-care, radical healing, wholeness, and joy?